This post talks about whether or not streaming your services hurts your church attendance. It's part of our series on church live streaming. When a church is deciding whether to stream its services, one of the most common concerns is if going online will affect in-person attendance on Sunday mornings. 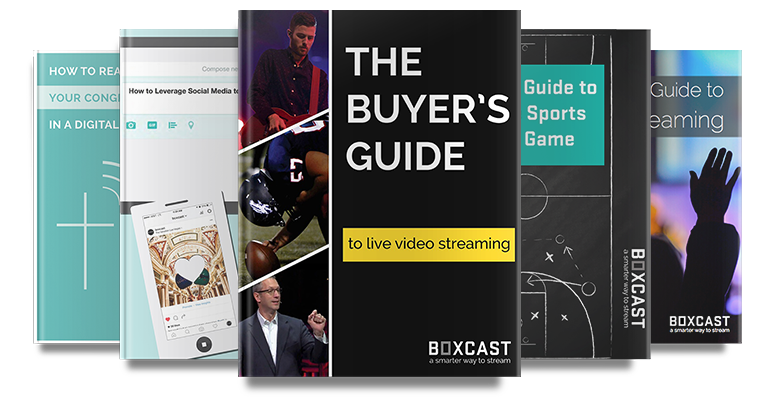 This post addresses that concern head-on, showing how live video streaming is actually an important step to grow and strengthen your church community. Church websites have become the new front doors of any church. Before many people step inside the physical space, they like to get a sense of the community and determine if they would belong. When a church streams its services online, it invites potential newcomers to join the service from afar to see how the sermon resonates with them. It’s the church’s mission to reach and engage people. In our modern world, Americans check their phones an average of 46 times per day. Many churches use live streaming to adapt to the changing times and reach their members where they already spend their time - online. There are 168 hours in a week, yet most of your church body only spends one or two of them inside the walls of your church. How do you reach them the other 166 hours? Live streaming your services allows people to engage with your ministry at any point in the week. Many people report that they’ll attend services on Sunday and then watch the archived stream at a later time to deepen their understanding of that week’s lesson. Streaming doesn’t replace what happens on Sunday morning; instead, it merely gives people another way to participate in your ministry. Whether it’s a parent stuck at home with a sick kid, someone on a business trip, or an elderly person unable to attend, many people want to stay connected to your ministry when they can’t be there in person. Live streaming your services increases the chance that your members come back when they’re finally able to again. Before or after services, consider inviting attendees to say hello on camera to those watching. If a member of the congregation is at home recuperating, on-camera ‘Get Well’ messages can mean a lot. Streaming is a great tool to make people feel as if they’re part of a larger community, even when they’re stuck in a remote location. Google’s search algorithm ranks websites based on user-friendliness, traffic, and whether it provides valuable and relevant content to its users. When you stream your services online, you encourage people to spend time on your site. Google processes this information and rewards you for it — when people use Google to search for a church, whether by name or location, your church has a better chance of being found. I find it’s often helpful to address the question of church attendance with the following analogy: Let’s say you have tickets to the big game. All of your friends, however, are stuck at home and watching on TV. My guess is that they wish they could be there alongside you in the stands. The fact of the matter is that people want to be where an event is happening. If they can’t make it, you better believe they are watching at home. There’s a common misconception that live video streaming will detract from the in-person audience at church. The thing is, as wonderful a tool as live streaming is, it's purpose has never been to replace in-person attendance. Instead, offering the resource to your church community is an incredible way to demonstrate that you understand the complexity of their lives and want to do everything you can to keep your ministry present and relevant every day.